Primaris has joined with AFMC, an Arkansas quality improvement organization, to offer security risk analysis (SRA) services to healthcare provider clients. Primaris, a healthcare industry consultant with 35 years’ experience, is based in Missouri. AFMC’s background covers 46 years as a Medicare quality improvement organization (QIO) and one of the first organizations in the country to help shepherd in Medicare improvement initiatives. 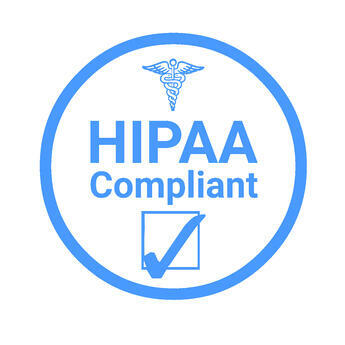 The SRA services are important because all healthcare provider organizations that create, receive, maintain, or transmit electronic health information are subject to the HIPAA Security Rule. This rule requires entities to conduct an annual risk assessment of their organization to ensure the privacy and security of their patients’ protected health information. Guests for Quality Talk episode 56 are Primaris CEO Richard A. Royer, AFMC CEO and President Ray Hanley, and Eldrina Easterly, AFMC’s outreach manager and Health IT lead. Just a few episodes back, Quality Talk examined the recent partnership between Primaris and Healthmonix that is designed to help practices and physicians optimize their quality reporting, scores, and reimbursements under the Merit-based Incentive Payment System (MIPS). Listen: The Nuts and Bolts of a New Partnership. Rick Royer: “As we know, the healthcare world is changing on nearly a weekly basis, and there are more demands placed upon providers. One is for SRA that measures cybersecurity in medical groups or a physician’s office.” He explained that SRAs are necessary for HIPAA compliance in addition to some of the new Medicare incentive payment programs. About Ray Hanley and AFMC. Hanley joined the organization in 2010. Before that, he spent 28 years with the Arkansas Department of Human Services, including 16 years as director of Arkansas Medicaid. He left to join Hewlett Packard as the client industry executive for HP’s State Health and Human Services business. AFMC also works with TMF on the CMS contract for the Quality Payment Program providing support for small, underserved and rural practices (SURS) in Texas, Oklahoma, Louisiana, Colorado, Mississippi, Puerto Rico and Primaris in Missouri and Kansas. We have expertise and in-depth knowledge of HIPAA compliance standards and SRA requirements. We have developed proprietary tools and processes that address the key SRA components: Technical, administrative and physical safeguards. AFMC’s set of proprietary tools and processes help relieve the burden of performing the SRA. This is not a “do it yourself” analysis. AFMC works with the practice to assist them through the process. AFMC offers a customized set of privacy and security policies and procedures to practices. And if a practice has their own set of policies and procedures, with the tools, AFMC can help them align policies with HIPAA standards. If there are gaps in their policies, AFMC can help supplement those gaps. The SRA is not just a requirement for MIPS or Promoting Interoperability (formerly Meaningful Use), it is a HIPAA compliance requirement. It is vital to protect your patients’ information. Just a quick recap about the need for an SRA – a security risk analysis. All healthcare provider organizations that create, receive, maintain, or transmit electronic health information are subject to the HIPAA Security Rule. This rule requires entities to conduct an annual risk assessment of their organization to ensure the privacy and security of their patients’ protected health information. AFMC's Security Risk Analysis services. Learn more here. Primaris's Security Risk Analysis services. Learn more here. 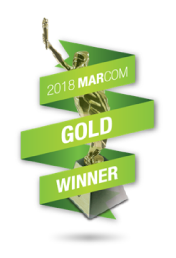 Primaris is a healthcare consulting and services firm that works with hospitals, physicians and nursing homes to drive better health outcomes, improved patient experiences and reduced costs. Primaris takes healthcare data and translates it into actionable quality improvement initiatives that create the foundation for highly reliable healthcare organizations. For more information, visit www.primaris.org and follow @primaris_health. For more than 46 years, AFMC has worked to improve the health of Arkansans through utilization review, quality improvement projects and public education. AFMC’s mission is to promote excellence in health and healthcare through evaluation and education. For more information, go to www.afmc.org and follow @afmc on Twitter and Facebook.